Mmmm, one of my favorite dishes of them all. Yeah I like Italian, Chinese and Greece food, but stuffed peppers are my summer delight. 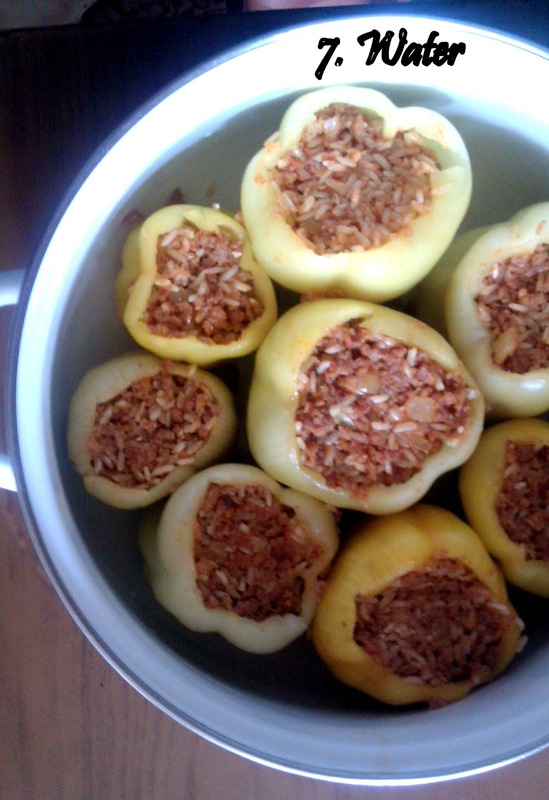 They are not hard to make and they will fill your tummy with splendid tastes from Balkan, so let`s get into it. I pictured the important steps for u so u can easily understand the procedure. 1. 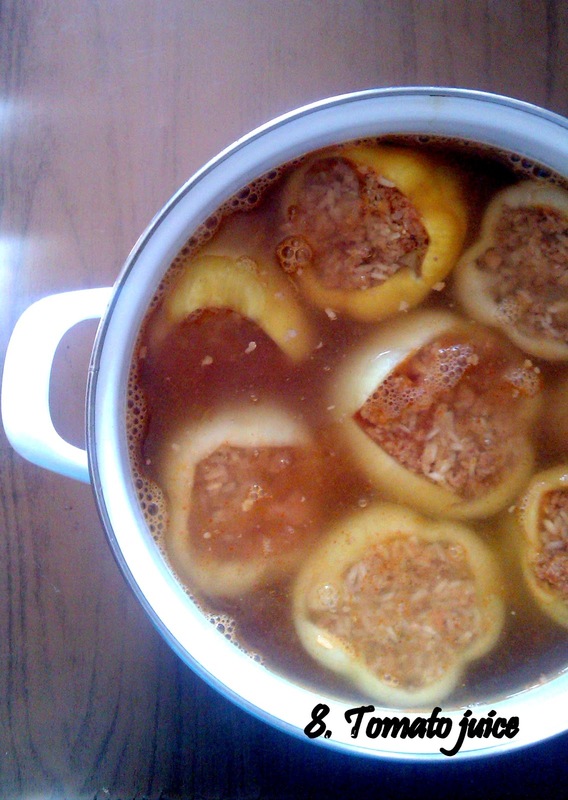 To make the stuffing, dice the onion into small pieces and saute it until it turns a nice yellow color (about 10 minutes). 2. 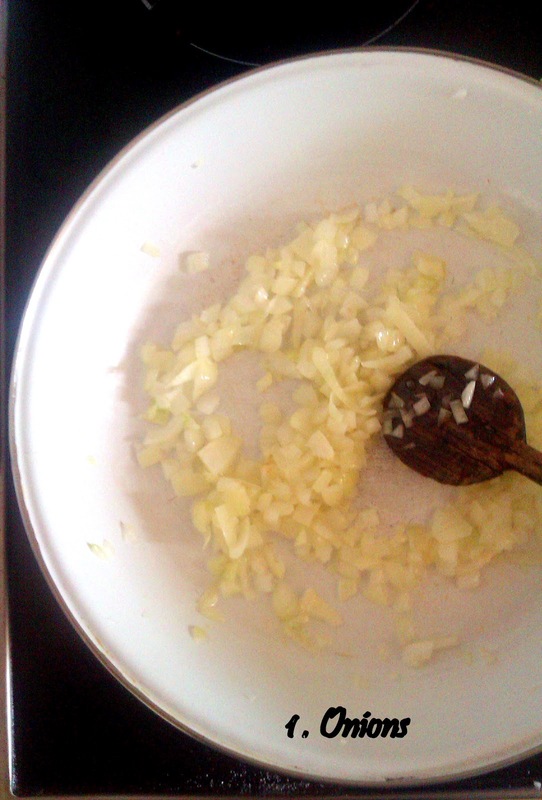 Combine this onion with the ground beef and soya flakes, which you had previously left in water to get softer, and brown the meat until cooked through. 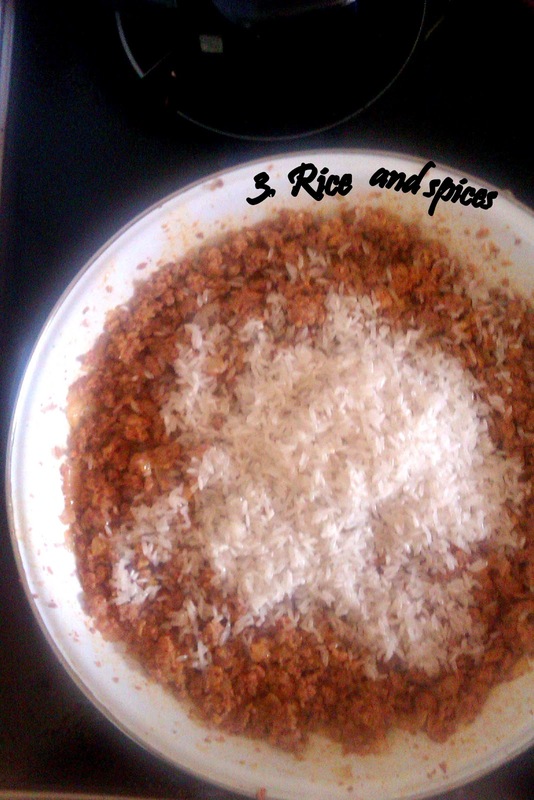 3. add in the uncooked rice, vegeta, sweet red paprika. Salt and pepper to taste. 4. 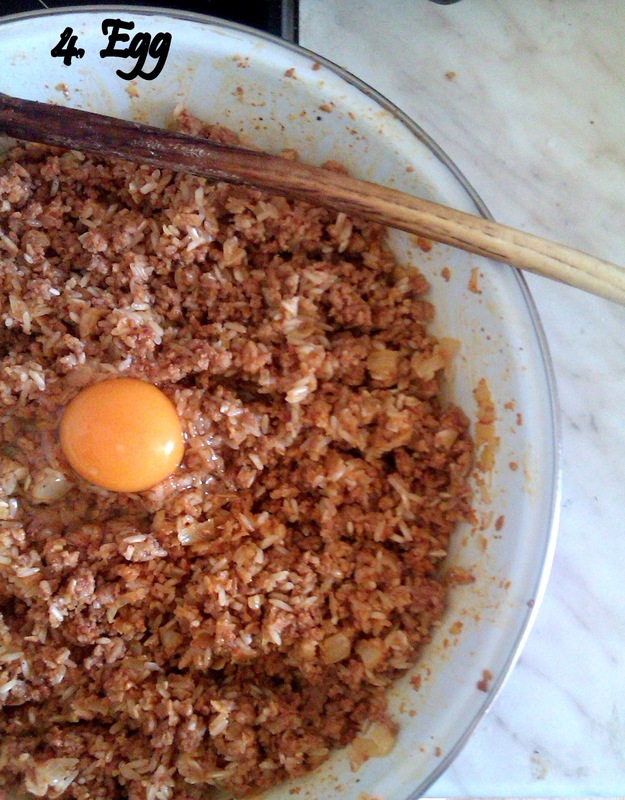 Put the stuffing to the side to cool for a little bit, add egg and mix it well. 5. 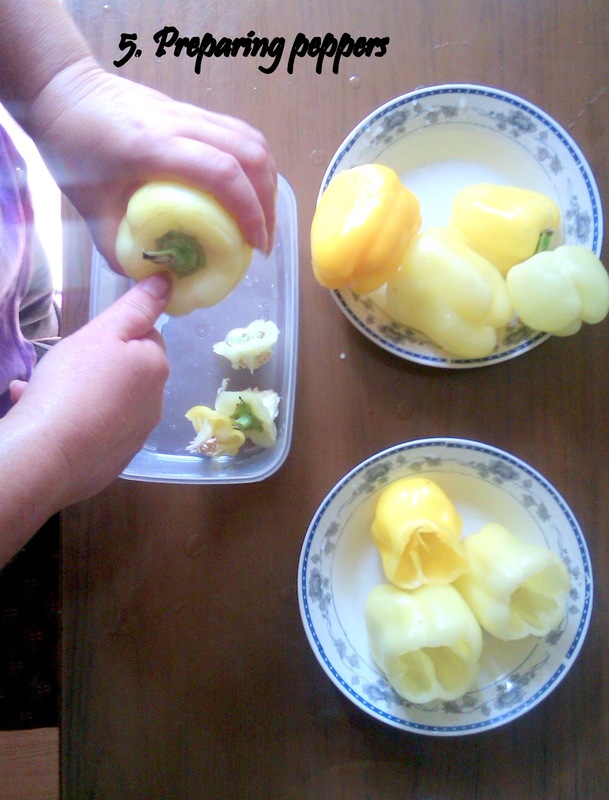 Cut off the tops and remove the seeds from the inside of the peppers. 6. 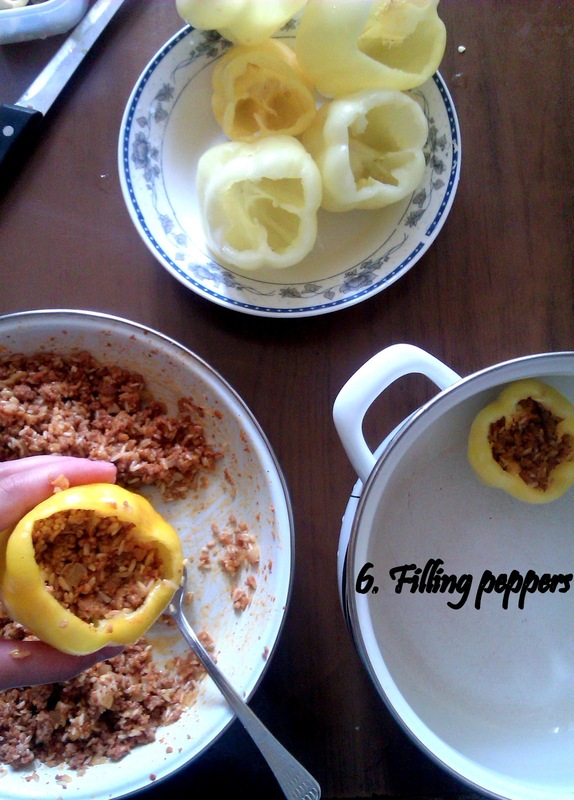 Stuff your peppers and place them into the pot. 7. Fill the pot with water, gently adding a little water in every pepper, until u reach approximately 2/3 of the pepper height. 8. Fill the tomato juice (paste) just up to the beginning opening of the pepper. Then you Cook the peppers on medium to low heat for about 1.5 hours. 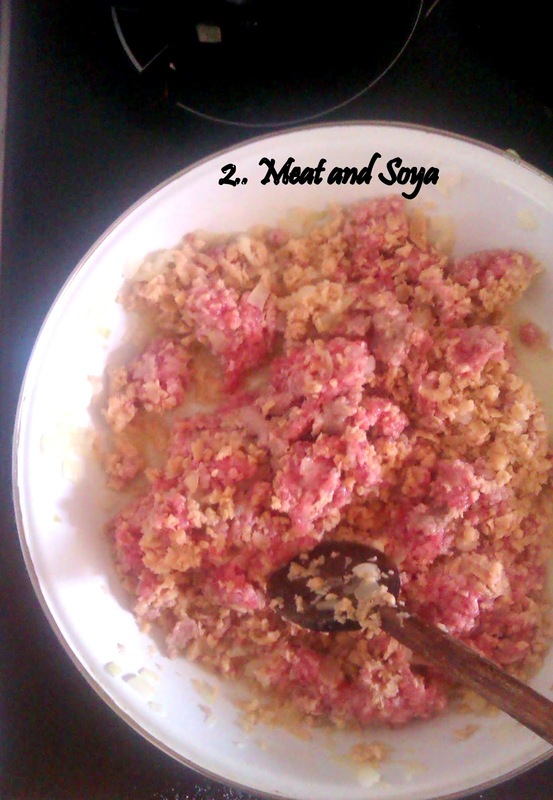 Near the end, mix 2 spoons of flour in cup of water and add it in the pot. And you`re done. Hope u`ll like it, as much I like it. 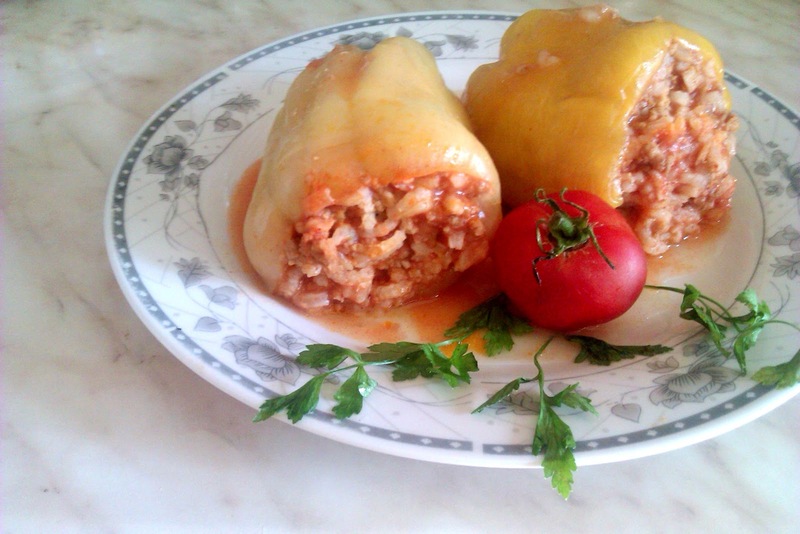 To be honest I don`t eat the pepper, I adore the filling, cooked in the pepper and tomato juice, just juicy. Serve it with feta cheese for an extra delight! Prijatno, as we say in Serbia!